DAYTON, Tenn. (April 13, 2019) – Almost as soon as he drove away from Raleigh, North Carolina – a Bass Pro Tour trophy riding shotgun in his Toyota Tundra – Major League Fishing® (MLF) pro Jacob Powroznik was already talking about how much he likes to fish Lake Chickamauga. 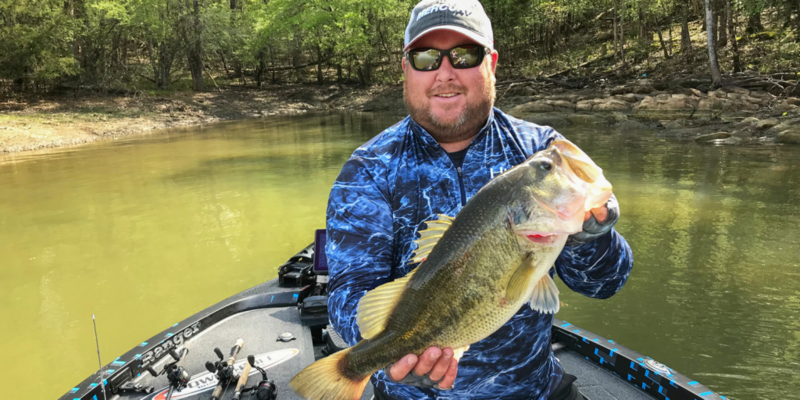 The Virginia pro, who won Stage Three in Raleigh just two weeks ago, has competed on this impoundment of the Tennessee River multiple times and identifies it as one of his favorite fisheries. MLF pro Jacob Powroznik connected with 10 fish for 20-15 in the final period to finish first in today’s Knockout Round on Chickamauga with 67-14. A Bass Pro Tour win on Championship Sunday would be two in a row for him. In Saturday’s Knockout Round of the Econo Lodge Stage Four presented by Evinrude, Powroznik showed why. After hovering around the middle of the Top 10 for the majority of the first two periods, Powroznik connected with 10 fish for 20-15 in the final period to finish first in the round with 67-14 on the day. Powroznik will be joined in Sunday’s Championship Round of 10 by: Todd Faircloth (63-12), Mike Iaconelli (59-8), Brandon Palaniuk (56-15), Andy Morgan (56-3), Luke Clausen (53-10), Keith Poche (52-3), Jared Lintner (52-1), Edwin Evers (50-15) and Michael Neal (49-11). Today’s weights will be wiped clean as the finalists start the Championship Round with a zero score. The final 2 ½ hours of competition saw several dramatic stories play out, none more so than Iaconelli’s. The Berkley pro entered the third period in 24th place – well out of contention for a Top 10 spot – but then connected with nine fish for 23-5 in the final 30 minutes on a squarebill to catapult him to third place. On the other end of the spectrum, local pro Michael Neal was left to agonize after the “lines out” call as he waited for the official final results to post to SCORETRACKER . Neal, who started the day on fire with nearly 30 pounds, caught two fish in the final 13 minutes and then clung to a Top 10 spot as Terry Scroggins and Casey Ashley fell less than 2 pounds behind him in the standings. Neal is one of four anglers who have competed previously in Bass Pro Tour Championship Sunday. Powroznik won Stage Three, Lintner finished third in Stage One Kissimmee (Florida). Evers is the only angler to qualify for all four championship finals. On the flipside, six of the Championship 10 will fish their first-ever Bass Pro Tour final round on Sunday: Faircloth, Iaconelli, Palaniuk, Morgan, Clausen and Poche. 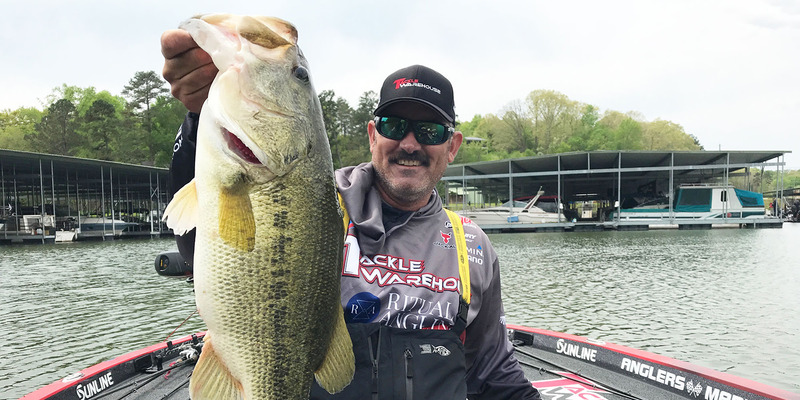 The first three Championship Rounds of the 2019 Bass Pro Tour have been competitive by all measures, but with records being written and rewritten all week on Chickamauga, this Sunday’s final round shapes up to be the most explosive to date. Nine of the 10 anglers competing have posted at least one 50-plus-pound day this week, and the fishery has kicked out 1,687 scorable largemouth for 3,138 pounds in the past three days alone. MLF pro Jared Lintner finished the Knockout Round in 8th, with this 8-10 being the kicker in his today’s total of 52-1. Competition begins on Championship Sunday at 7:30 a.m. ET, with live, official scoring available via SCORETRACKER on MajorLeagueFishing.com and on the MLF app. The MLF NOW! Live Stream starts at 10 a.m. ET, with live, on-the-water coverage and analysis provided by Chad McKee, JT Kenney, Marty Stone and Natalie Dillon until lines out at 3:30 p.m. The Berkley Postgame Show – hosted by Steven “Lurch” Scott – will start at 5 p.m. daily.